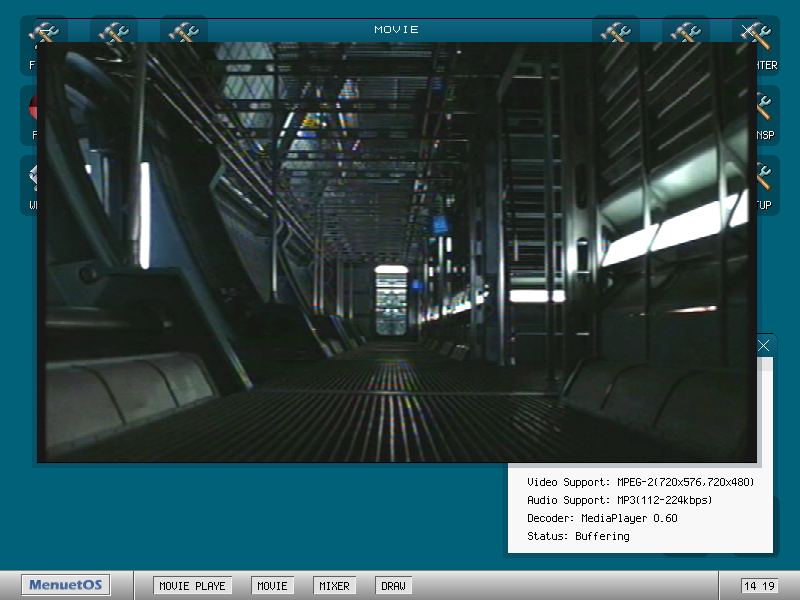 The latest addition to mediaplayer is .mpg movie file decoding (mpeg-2/mp3), for example from usb drives. I am curious: have all the decoders been natively written from scratch in asm? Or did you link with ffmpeg or a similar library? All decoders from scratch using assembly only. No external libraries (like ffmpeg). And the sources are closed, are they? MenuetOS has an AAC decoder which is not included because of licensing issues. If Ville agrees, I will release the source code just to see how it looks like. But Menuet64 itself is closed.